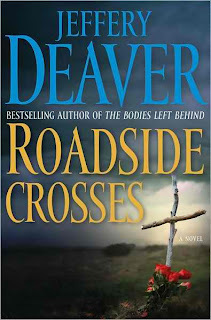 Roadside Crosses is the second novel in Deaver's newer Kathryn Dance series. Always a huge fan of Jeffery Deaver , especially his Lincoln Rhyme series, I'm proud and excited to say I strongly favor his Kathryn Dance series more. Kathryn Dance is an expert in kinesics, which is the study and analysis of body language. In addition to the contribution kinesics makes to the mystery in the novel at hand, it's interesting to learn about body language techniques since we can apply them to real life situations we face daily. Learning about crime forensics is fun too, but I highly doubt I'll be analyzing hair fibres from a shirt found on a piece of tape found at the crime scene of a murder anytime soon. In Roadside Crosses , a killer begins to leave shrewd crosses at random locations along the Monterey Peninsula to signify memorials where murders and accidents have yet to occur. The murderer then stages horrific crimes modeled after each victim's fears that can publicly be found online in forums, blogs, and various other social media outlets where profiles and information has been posted carelessly for all to see. 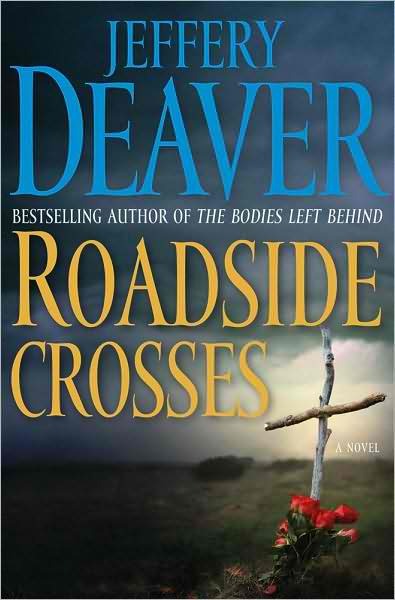 Roadside Crosses is full of Deaver's usual red herrings and twists with added subplots that deal with the ongoing cast of characters. Deaver adds an author's note to the beginning of the novel challenging readers to visit websites listed throughout the book to follow along and help with solving the mystery. For readers longing for a romantic subplot to accompany the novel's action and suspense, Deaver has a slow building up of sexual tension developing between Kathryn Dance and her bureau partner Michael O'Neil, of which I'm hoping a relationship will eventually come to fruition in future installments. I particularly enjoy Roadside Crosses because it really does confront the accountability people lack in present days regarding posting their personal business on social networking sites for all to see. Tsk tsk tsk. Thanks for letting us know you're going to the gym at 8pm on a dark, rainy Tuesday night so we can ransack your house. Okay so maybe I won't, but someone else will. Think about it. The first novel in the Kathryn Dance series is The Sleeping Doll (2007). The newest release from the Lincoln Rhyme series is The Burning Wire (2010). Jeffery Deaver and Lee child are the best in this genre. I like this review and agree w/you about the twists and red herrings. Though it wasnt my favorite by Jeffery Deaver it was still pretty decent.